This Microphone Floor Stand has a black finish which prevents reflection of stage lights. 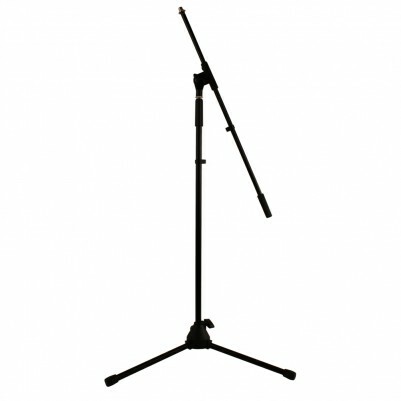 Robustly built: Heavy duty microphone stand with adjustable boom. Flexibility: Ergonomic height grip and foldable tripod base. You can adjust the height of the microphone floor stand between 950-2150mm. Precise placement: The 1905 Microphone Floor Stand enables precise placement of microphones for recording and performance. Compatibility: You can use the floor stand with a 1918 Microphone Dynamic or an 1810 Handheld Wireless Microphone.